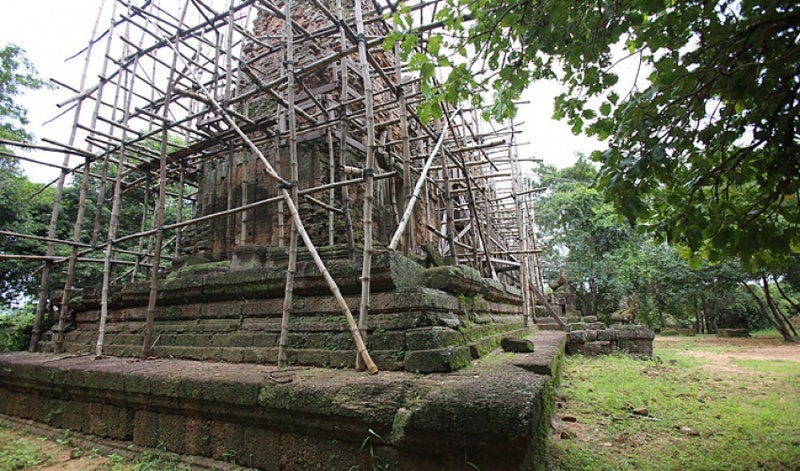 Prasat Bat Chum is a small and rather difficult to reach temple in Angkor. 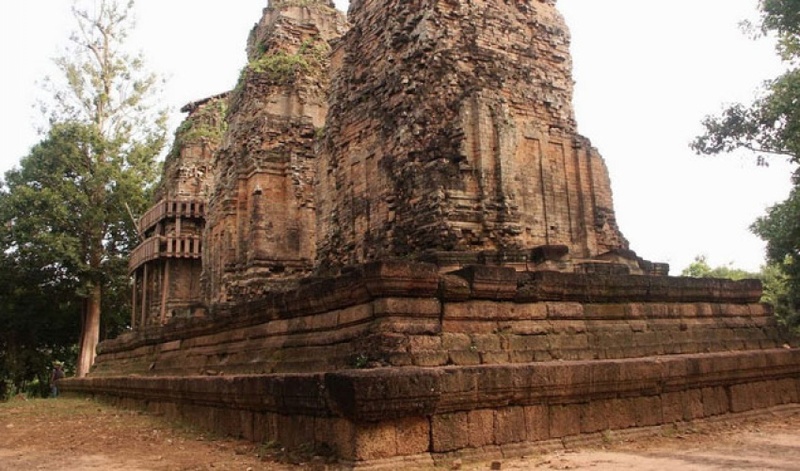 It was built for King Rajendravarman by Kavindrarimathana, the same architect who designed the king's palace as well as the temple of East Mebon, and also probably had a hand in Pre Rup. 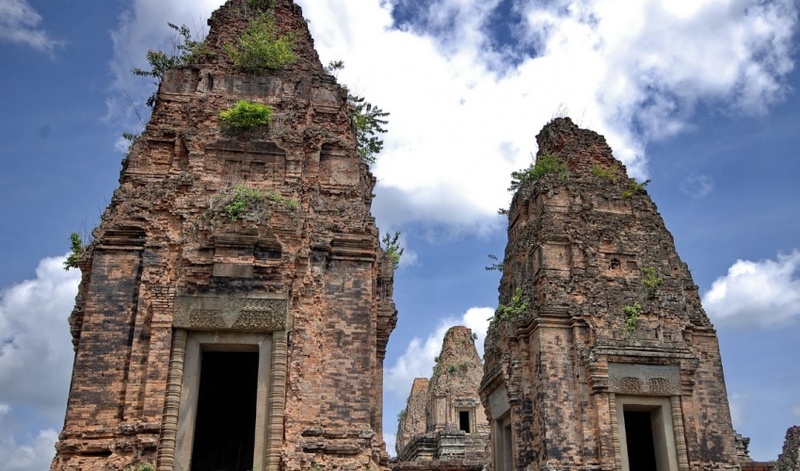 Kavindrarimathana is the only ancient Khmer architect whose name is known. 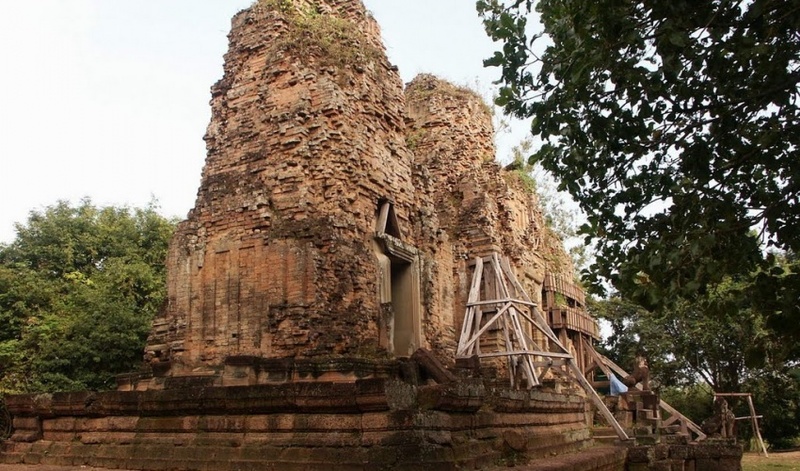 To his own credit, he also designed Srah Srang. 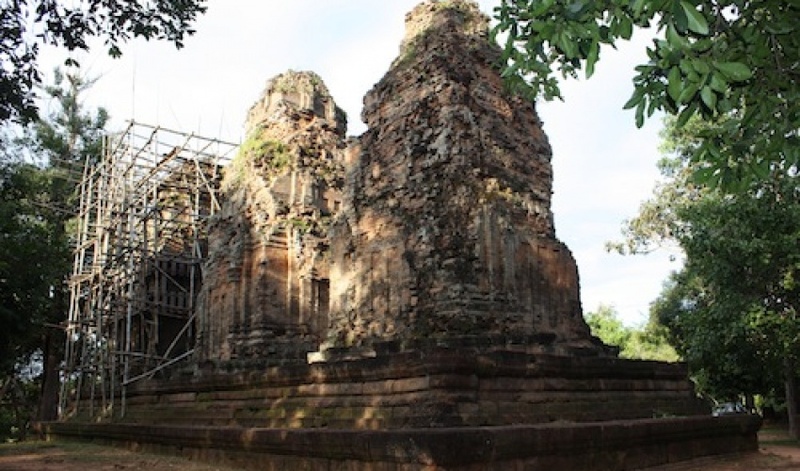 Bat Chum Temple is a small temple built by Kavindrarimathana, a learned Buddhist minister of khmer king Rajendravarman, at the middle of the 10th century. 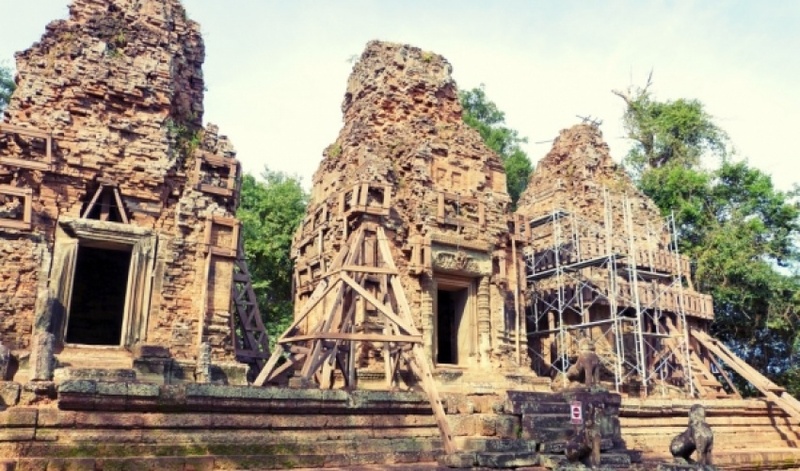 It is located about 400 meters south of Srah Srang, at Angkor, Cambodia. 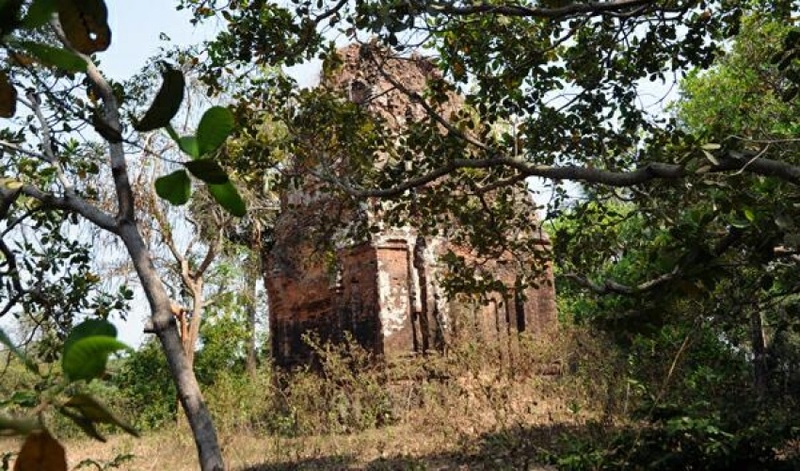 It consists of three inline brick towers (in poor conditions at present), standing on the same platform, surrounded by an enclosure and a moat, with a single gopura to the East. 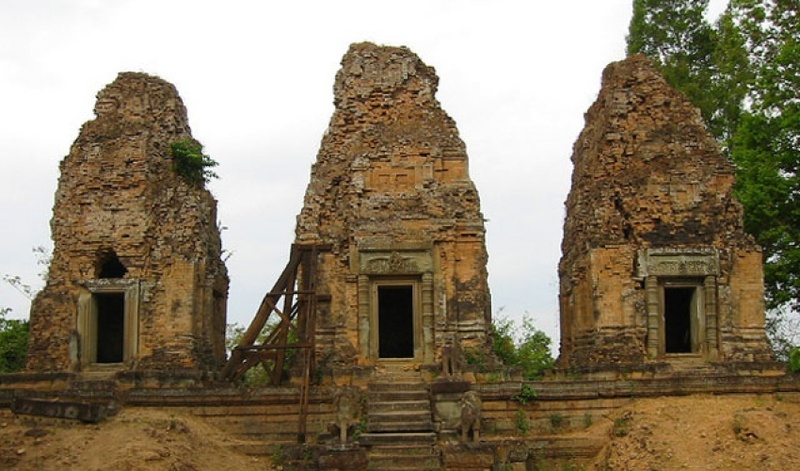 On the door jambs there are Buddhist inscriptions that mention Kavindrarimathana, the "architect" (or official in-charge for construction) who built Srah Srang, East Mebon and maybe planned the temple-mountain of Pre Rup. 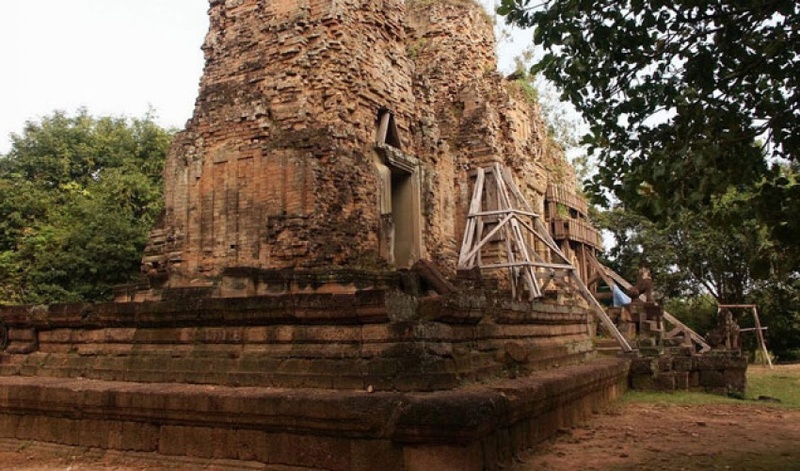 Maybe it was originally an induist temple: during the excavations in 1952, in the northern and central towers flagstones showing a yantra were found, which George Coedès was able to reconstitute and link only with extreme difficulty to the buddhist divinities mentioned on door jambs. In every tower there is a different inscription signed by three different persons. The last verse of all three names equally the elephants as "dyke breakers".